If you’re thinking about finding an investment property in St. George, UT, in all likelihood, you are also thinking about how to manage the property. And if you’re not, you need to be! There are many tasks you need to attend to when managing a rental property, and it can simply become overwhelming. Even ordinary things such as routine maintenance require you to account for many things. There are also things like renter relations that need to be managed with great care. If these responsibilities aren’t taken seriously, your property may not yield the best profit it can. The key to maximizing your return on investment is to hire experts who are extremely acquainted in both the property management industry and the St. George area. When you do business with Real Property Management Southern Utah, you are placing your property in bankable hands. Our familiarity with the St. George area is for your gain. We use our skill to specialize in prospering within the local market and the unique characteristics of your tenants. With us as your ally, you can enjoy the earnings from investing in St. George real estate while letting us deal with the workings of property management. Our approach is simple. We give professional, credible property management services. These range of services cover screening tenants and filling vacancies to maintenance systems and rent collection. You may be an investor with numerous rental homes or an unintentional landlord. Either way, we have the answer you need. Being in the industry for over 30 years, we use our experience to make managing your investment easy. We accomplish this by offering professional rent assessments, cost-effective maintenance, comprehensive accounting services, and more. You no longer have to work like a dog for your do-it-yourself property management. You’ll continually know when a new tenant has rented your property, when rent is received, when and why a tenant is being evicted, and when repairs or maintenance are required. On top of all that, you will constantly have 24/7 online access to your property’s information. With Real Property Management Southern Utah, it’s plain to see how the right property management company makes you succeed with ease as a rental property investor. We are an industry leader in the fields of licensing, insurance, and legal compliance, making our team prepared to deal with any situation imaginable with your George property. Ultimately, our chief goal is to create high-quality partnerships with both investors and renters to give you confidence that your property is managed just like how you would want your own home managed. When you permit us to handle the unending and time-consuming property management tasks for you, you save time and you can dedicate it to acquiring more properties and strengthening your business relationships. As we continue to expand, so do the locations we manage. We are not bound by the list of areas below, but we are interested to grow with you dependent on your particular location and needs. Just communicate with us if your location is not currently listed. Our property management strategy is guaranteed to save you money at every point of the process. We make it easy to guard your investment, decrease expenses, and maximize your income— without intruding in your everyday life. If you are interested in having your St. George property managed by Real Property Management Southern Utah, have other questions, or just want to chat with one of our team members, then contact us online or call us directly at 435-673-4242 today! St. George is the biggest city in Southern Utah and is one of Utah’s most popular travel destinations. It is known for their friendly people, sunny weather and beautiful views. The small-town feel coupled with the convenience it offers makes this a great place to raise a family. 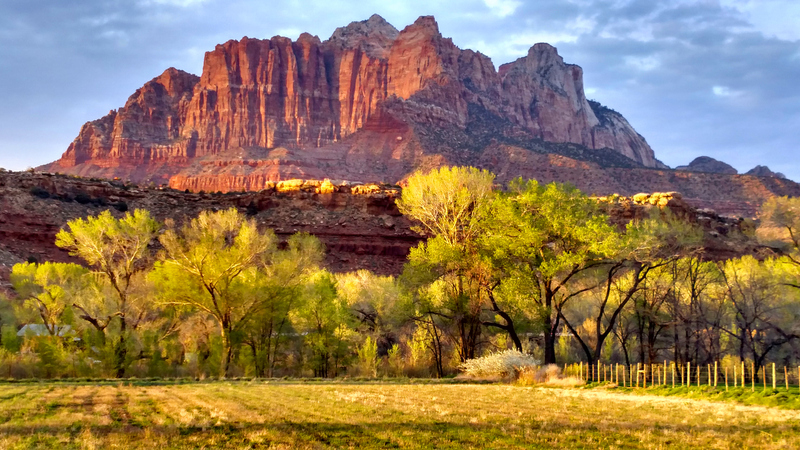 St. George is home to Zion National Park, which is one of Utah’s most popular parks and is a “must see.” It has beautiful scenery and is great for many adventures including scenic tours, hiking, canyoneering, and ziplining.